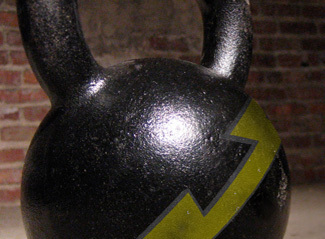 These steel kettlebells are all the exact same physical size and shape. This helps eliminate detrimental effects to skill technique. The unpainted handle allows for ease of movement as well as chalk application. Color coded by weight; colors may vary. Handles are 1 3/4″. NOTE: Shipping is included in the purchase prices. This price will be reflected in your shopping cart. NO additional shipping fees will be applied.